A 55-0 victory for Japan over Fiji in the second match of the Asia/Oceania regional qualification tournament for Women’s Rugby World Cup 2017 ensures the Sakura 15s and Hong Kong of their place at next year’s showpiece event in Ireland. 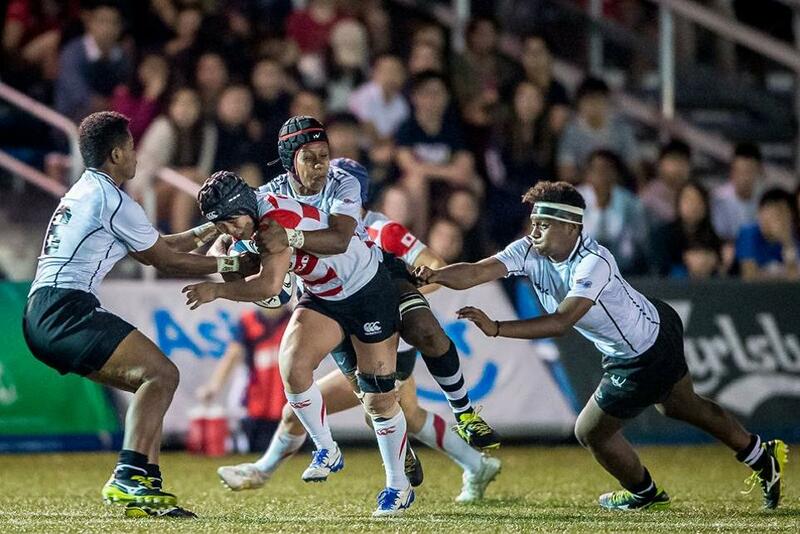 Japan will return to the Women's Rugby World Cup stage for the first time in 15 years after qualifying for next year's flagship tournament in Ireland courtesy of a 55-0 win over Fiji in Hong Kong. Not since the inaugural two tournaments in 1991 and 1994 have Japan competed at the highest level of the women's game. Fijiana were no match for Japan as they succumbed to their second heavy loss in the space of four days at the Asia/Oceania WRWC 2017 qualification tournament, having already been beaten 45-7 by Hong Kong on Friday. Those two results combined mean that Japan and Hong Kong are guaranteed to finish first and second in the triangular qualification tournament and therefore take the last two places reserved for Asia/Oceania at WRWC 2017. Japan, who ran in eight tries in a ruthless display of finishing, will now face Hong Kong at the Hong Kong Football Club in the tournament's finale on Saturday, in a match to decide which of the nations will go through to WRWC 2017 ranked as Asia/Oceania 1 and 2. Full-back Mayu Shimizu played a starring role for Japan in the 55-0 win, scoring two tries and kicking three conversions and penalties for an overall contribution of 25 points. It was Shimizu's fourth-minute penalty that got the scoring underway as Japan's ability to keep the ball alive and play the fast-paced game that head coach Goshi Arimizu promised meant they dominated from the off. It wasn't long before they were rewarded with the opening try of the match, another multi-phase attack resulting in teenager Shimizu dotting down for the first of her two tries. Shimizu then booted a second penalty and Japan led 11-0 before Fijiana were able to fire a shot in attack. With countless penalties going against them, Fijiana found it hard to get a foothold in the match and Japan added a second try on 35 minutes from a five-metre scrum. Powerful number eight Mateitoga Bogidraumainadave picked up at the base and drove to the line only to be stopped a metre short. Japan recycled the ball quickly and, after a good pick up from fly-half Mio Yamanaka had kept the move alive, Shimizu crossed for her second in the left-hand corner. Shimizu tagged on the two points and then kicked a penalty on the stroke of half-time to make the scoreline 21-0 in Japan’s favour. The second half followed a similar pattern with Japan utterly dominant and Fiji rarely able to escape out of their own half. A well-executed first-phase try for right winger Noriko Taniguchi, and Shimizu’s conversion, put Japan 28-0 up within a few minutes of the re-start. Left wing Honoka Tsutsumi strolled in for Japan’s fourth try after the Fijiana defence was stretched one way and then the other, before lock Ayano Sakurai brushed off some weak tackles to add another on the hour mark. Shimizu landed the conversion. Bogidraumainadave grabbed a well-deserved try with 15 minutes to go, and the half-century was reached when replacement back Riho Kurogi cut a great angle and hit the line at pace to finish off a slick switch-move in midfield. Chikami Inoue closed out the scoring when she burrowed over from close range with two minutes to go. The winner of Saturday's match between Japan and Hong Kong will go to WRWC 2017 ranked as Asia/Oceania 1, where they will face hosts Ireland as well as France and Australia in Pool C, while the runner-up will join WRWC 2014 runners-up Canada, New Zealand and Wales in Pool A.